When your property is on the market, it is in your best interest to know your numbers. By this I mean you should know the dates and ages of various upgrades and/or replacements. They are important to most buyers and can be used as great marketing features when advertising your home. When it comes to outdated wallpaper or borders on your walls, it is far better to remove them before your showings start. Kids rooms tend to be the exception as most kids like the same things; but everything else should go. 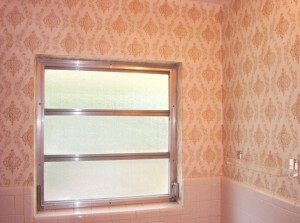 This a because when buyers look at wallpaper most just see the daunting task of taking it down. They immediately get concerned about how to take it down, if the wall is going to be damaged and how much the whole process is going to cost them. So find a great drywall contractor. Your agent probably has a couple of good names. Then be honest with yourself as to what needs to come down. Walls that have a strong patterns or designs can be overwhelming to some buyers. Ask your agent what is best to to do before showing your home. Real estate beige is a favorite neutral! 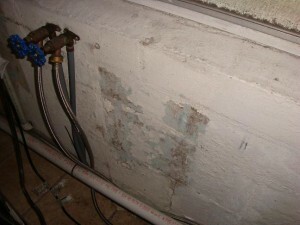 When you see chipped, peeling or worn paint the answer is – yes you do! If you had a day to do one thing to significantly improve the look of your property what would it be? Not sure. No worries, I actually have 5 things for you. 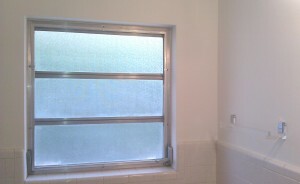 Each of these take about a day to get done and will give your property a noticeable “WOW!” factor. 1. Paint. Got a room that the color is too overwhelming, too dark or has too many wall marks to be removed? Don’t delay, paint away! 2. Yard. Walk around your property and address your yard. Mow the grass, edge the lawn, blow off the debris, lay down some mulch, plant flowers, rake the leaves, trim the hedges and the trees. Don’t ignore this chore! 3. Closets. It’s best if you can take it all out and only put back only what’s needed. You’ll be amazed by how much should go. This is definitely clean to be seen! 4. Windows. Most sellers don’t notice this one mostly because they don’t make a point to look at them. But someone buying your house is doing just that. So make the rounds and clean them inside and out, upstairs and down! 5. Pressure Washing. This is my favorite item because it creates such a great looking clean. Address it all – your patios areas, decking, steps, walkways and driveway. So whether you rent or purchase one, get it done!